In July 2017, after months of ‘hanging by a thread’ a vast iceberg the size of Luxembourg broke off Antarctica’s Larsen C Ice Shelf. At more than 6,000 km² in area, the new iceberg represents more than 10% of the ice shelf. 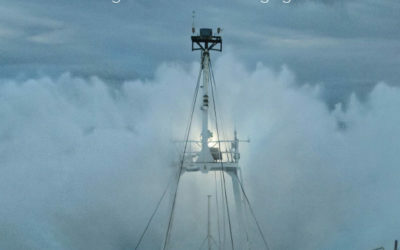 The block of ice is about 190 metres thick, with about 30 metres sitting above the sea surface. 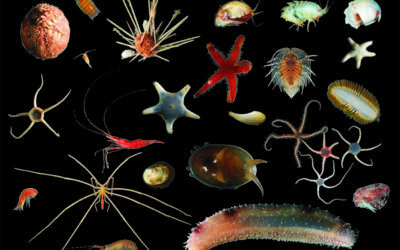 As it broke away it exposed the sea beneath, and its marine life, to light for the first time in perhaps 120,000 years. What is Larsen C and why is it in the news? An ice shelf is formed from ice that has accumulated on the continent of Antarctica over many thousands of years, slowly flowing in glaciers towards the coast, and out onto the ocean where it floats in a layer that can be several hundred metres thick. This is in contrast to sea ice, which is formed by freezing sea water and is rarely more than a few metres thick. The Larsen Ice Shelf is located on the eastern (Weddell Sea) side of the Antarctic Peninsula. Geographically distinct sections are named alphabetically from north to south, with the largest section being Larsen C – one of the largest ice shelves in Antarctica. Since the mid-1990s, parts of the Larsen Ice Shelf have collapsed: Larsen A disintegrated in 1995, followed by Larsen B in 2002. 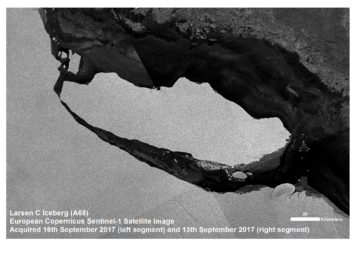 A large section of the Larsen C Ice Shelf broke away in July 2017 producing an iceberg the size of Luxembourg known as ‘A-68’. 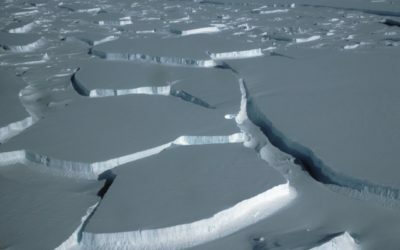 The iceberg was formed by a single massive crack (a ‘calving’) during which more than 10% of the total ice shelf was lost. The area of Larsen C is now at its smallest since records began in the 1960s. What does the A-68 calving mean for global sea-level rise? The recent calving will not affect sea levels significantly because the ice shelf is already floating and it is only ice sheets that sit on land that contribute strongly to sea-level rise when they get smaller. However, if this calving forms part of a retreat that leads to further ice loss, then eventually the ice shelf will not offer as much resistance to the grounded ice inland. That will allow the inland glaciers to accelerate, contributing to sea-level rise. In total, the Larsen C ice shelf holds back the equivalent of about 1cm of global sea-level rise. For comparison, at present sea level is rising about 1cm every three years, predominantly due to global warming causing ocean waters to expand. 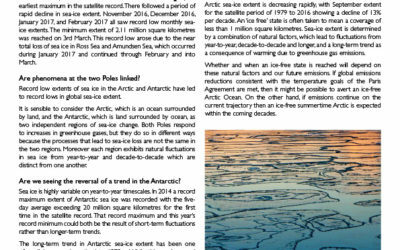 What is thought to be responsible for the ice shelf calving? The simple answer is that it is complex. There has been an ongoing and widespread retreat of ice shelves and floating glaciers around the Antarctic Peninsula in recent decades. 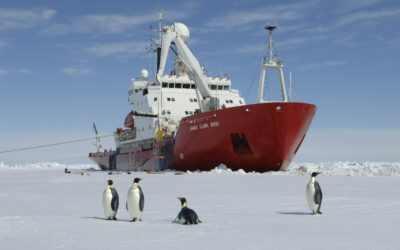 Strong atmospheric warming observed on the Antarctic Peninsula during the second half of the Twentieth Century and changes in the surrounding ocean are likely to have contributed to this.  Changes to the winds that typically blow from west to east over the mountainous terrain (‘foehn winds’) and warm the surface on the eastern side of the Peninsula are also likely to have been important. It is clear that the Larsen C Ice Shelf has been changing in recent years. 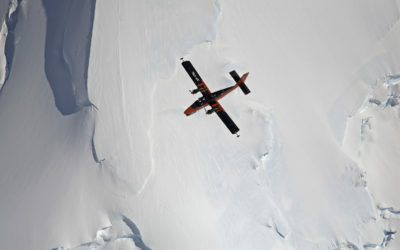 Satellite data records show that the surface of the Larsen C lowered between 1992 and 2010 and data from airborne surveys have indicated that this was partly due to a loss of ice and partly due to a loss of the air trapped in the ice. The possible reasons for these changes include decreased snowfall, increased surface melting, changes in ice flow and the melting of ice from below by ocean waters. The overall pattern of change on the Antarctic Peninsula and the particular changes in the elevation of Larsen C may be connected to the formation of the A-68 iceberg, but it could also be a calving event that is simply part of the normal cycle of this ice shelf. More generally, human activities may have played a role in the atmospheric and ocean changes in the Antarctic Peninsula region, through increasing greenhouse gases and ozone depletion, but natural fluctuations typically observed at this regional scale will also have been important. Will the A68 calving destabilise the rest of the ice shelf? 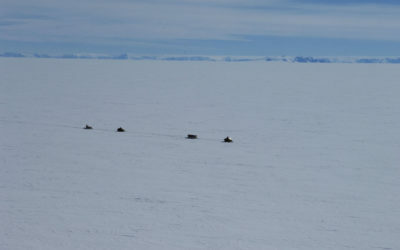 The most recent computer simulations suggest that the A-68 portion was not critical to the stability of the rest of the ice shelf and its loss alone will probably not have a significant impact. The full collapse of the neighbouring Larsen B Ice Shelf came about quickly following a period of successive calvings that eventually left the ice shelf vulnerable. If the A-68 calving of Larsen C is followed by similar events in the coming years and decades, then the ice shelf may similarly be reduced to a point where it is unstable and collapses entirely. What does this mean for the rest of Antarctica? Antarctica is a large continent and changes occurring in different regions are not necessarily related to one another. 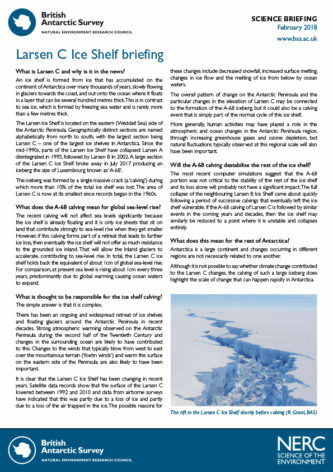 Although it is not possible to say whether climate change contributed to the Larsen C changes, the calving of such a large iceberg does highlight the scale of change that can happen rapidly in Antarctica.